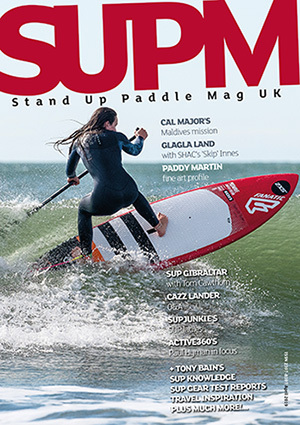 It’s no secret we (SUPM) are fans of longboard style stand up paddle surfing (you only need read the feature from last issue to see this). One thing we will say, however, is longboarding shouldn’t be misconstrued for ‘easy’. 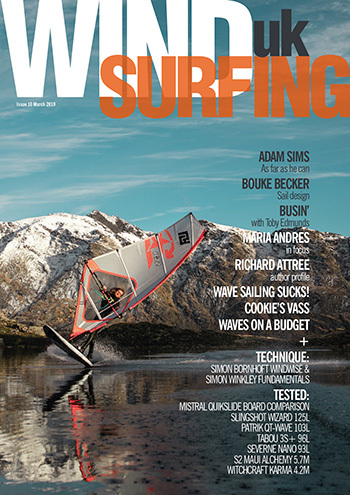 If you want truly easy wave riding then stick with an all rounder. 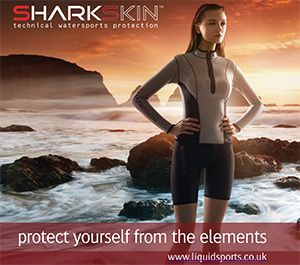 Longboard sliding may help increase your wave count but these boards are all different and display certain traits making them applicable to specific styles of riding. JP Australia’s Longboard 10.6ft is new for 2017 but shows commitment to the cause. Over recent months it’s become apparent that not every wave head wants a short SUP so many brands have stepped up. The AST version is JP’s durable construction which we can attest takes knocks and shakes them off easily. 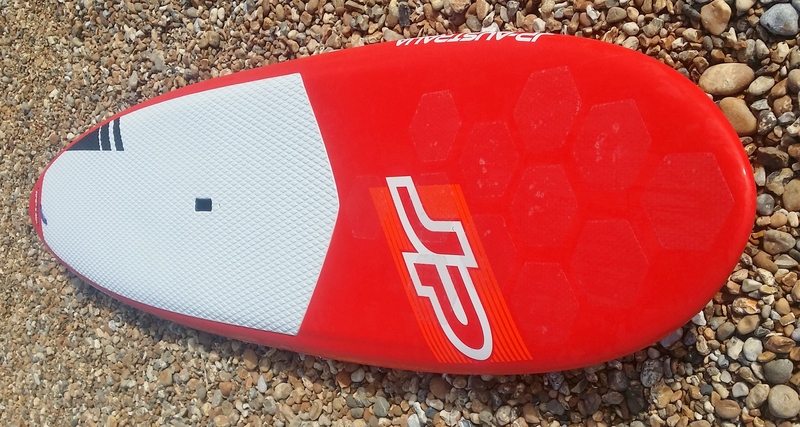 As a 2+1 thruster fin configuration there’s opportunity for riders to whack in a big centre US Box skeg for ultimate nose riding performance or go down the performance route of smaller types – we tried both. Paddling away from the beach the flat deck, into stepped rails, is super flat and therefore stability is good. A straighter profile delivers good tracking while the flatter rockered nose helps with glide – gutless swells don’t stand a chance! In the tail there’s a decent amount of kick while a grippy deck pad helps keep riders in contact with their steed. The only thing we’d have liked is a kick block right on the tail, but this is only a minor point. JP’s Longboard 10.6ft is an easy vehicle to paddle. In no time at all riders will be at the peak ready for the off. Picking up swells early allows SUPers to set their rail. It’s important not to over egg things here as the 10.6ft likes a drawn out bottom turn rather than a gouging carve. Speed down the line is admirable and allows setting up for a lip hit or walking the plank. Toes over aficionados will get into position without too much drama. It’s not the easiest nose rider we’ve used but it’s certainly fine for aspiring stylists. If you’re of a more performance surfing bent then getting right back onto the tail is how you’ll punt some vertical hits. Too far forward and this won’t happen although you can still carve up and down from this position. JP’s Longboard is also a good SUP for tricksters who love fin first take offs and helicopters – riding backwards has never been so achievable! JP Australia’s 10.6ft Longboard is a worthy addition to anyone’s quiver or a one board only for those who fancy a mix of classic and modern riding. A progressive carver, that loves an open face on a solid wall, its performance will appeal to anyone who can move back and forth along the board’s deck, while retaining enough new school carving ability for those looking to bounce some lips. As with all JP products construction is top notch and SUPM salutes the brand for introducing this style of SUP to their 2017 line up. Big shout to Andy Biggs Watersports who provided the test board.